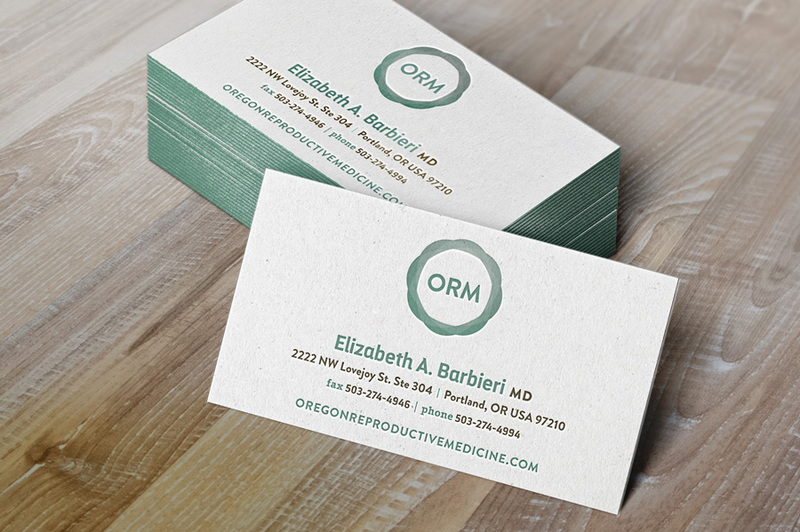 ORM Identity — Relevant Studios | A Branding, Packaging & Website Design Company | Portland Ore. Please note: The examples below are not necessarily real-world design applications and should only be used for reference purposes to get an idea of the overall look and feel for the brand. Color may vary drastically from screen to screen, and viewers should consult a Pantone swatch-book before making decisions regarding color. We believe that direction 1 is the best solution to represent ORM because it does a good job of representing both a sophisticated "product" offering and an approachable and caring service. This direction has the ability to showcase a variety of offerings, to appeal to a wide audience, and to be both memorable and authentic. It also works really well as part of a system that will be flexible across a variety of platforms and media applications. Read more about what makes a good logo and apply that knowledge as you view each direction. Again—color may vary drastically from screen to screen, and viewers should consult a Pantone swatch-book before making decisions regarding color. We can provide one at our next meeting. Direction 2 is an evolution of the current logo and identity and would represent the company well as a natural progression from the previous brand. Direction 3 is a new spin on combining two previous directions. The result is a sophisticated and recognizable mark that is relatable to science and fertility. Direction 4 (above) is an attempt to merge two of the previously presented options (below) into one new direction as requested. However, we feel it is not as strong as either of the previously suggested. Direction 5 is simply a build-out of the previously presented round to show context. We attempted to modify both the text and growth icon, but the result was not as strong as the original.